Cave of Forgotten Dreams is a work of communion—between the present and the past; between different modes of artistic expression; and between humanity and its environment, the animal kingdom, and the spirit world. Werner Herzog’s latest documentary (presented in 3D) finds the filmmaker venturing into southern France’s renowned Chauvet cave, where in 1994 explorers discovered paintings, fossilized bones, and other artifacts dating back almost 32,000 years. The oldest manmade drawings ever found, this Paleolithic artwork, mostly of horses, bison, bears, and other creatures, as well as the exquisitely preserved cave itself (sealed, thousands of years earlier, by a rock slide) are according to Herzog “like a frozen flash of a moment in time,” offering a window onto primitive life that’s at once revelatory and, despite archeologists and paleontologists’ high-tech analysis, forever enigmatic. 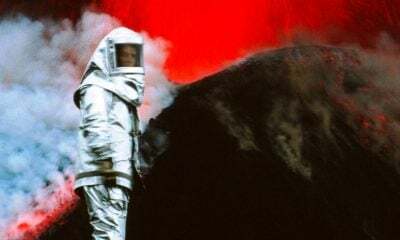 That sense of mystery permeates Herzog’s latest, as does an omnipresent sense of awe, felt during a moment in which the visitors pause to experience the eerie silence of the cave, and also in the director’s trademark narration, which—with its deeply sincere philosophical proclamations—conveys profound reverence for the ancient achievements on display. An act of historical reconstruction, his film aims to converse with those who created these paintings and, in doing so, to understand both a lost world and ourselves. A Baywatch quip aside, Cave of Forgotten Dreams lacks the sporadic humorousness of Encounters at the End of the World, but as with all of Herzog’s nonfiction efforts, it’s spellbound by the wonder of man’s relationship to his surroundings. “Do they dream? 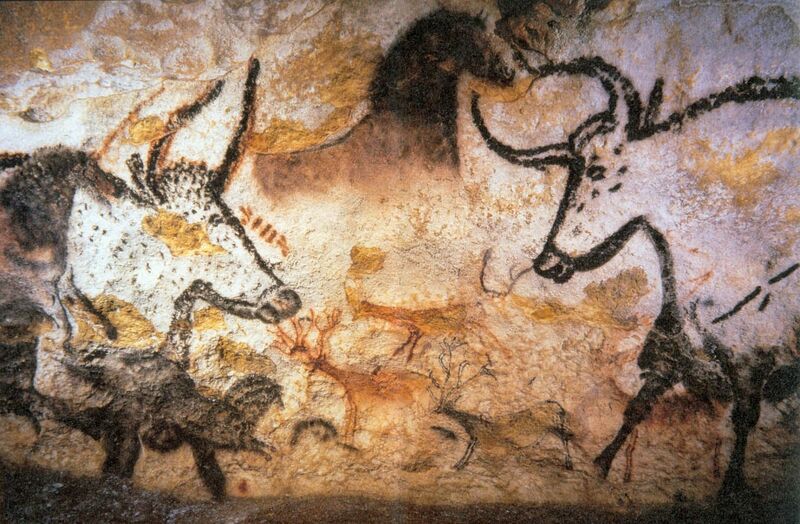 Do they cry at night?” Herzog ponders about the men and women who made the Chauvet paintings, a question that echoes throughout his investigation precisely because—like his attempt to photograph an unfinished illustration of a female minotaur on a stalagmite that’s not fully viewable (it encapsulates the tantalizing inscrutability of prehistory). The discovery of overlapping figures drawn almost 5,000 years apart typifies, to Herzog, a “blurring of time” that’s similarly characteristic of his 3D-modern film’s encounter with the long-gone. With light dancing on the cave walls, Herzog’s subterranean cinematography recreates a sense of the fiery shadows that illuminated the underground space for the artists. Moreover, it imparts an impression of movement that’s inherent in the paintings and, consequently, bolsters Herzog’s idea that they are a form of “proto-cinema” engaged, akin to his film, in a dialogue between the past, present and future. A late pan of the famed “horse panel” expands upon these notions, with the camera moving in the opposite direction of the equines to subtly and stunningly suggest the doc’s own journey back in time. Herzog’s inimitable narration borders on the goofy, but it infuses the proceedings with contemplative profundity, as when he considers whether the paintings are “the beginning of the modern human soul,” thereby positioning his material as a fundamental search for (the universal) self. Meanwhile, his imagery expresses thematic concerns with understated grace, so that the sight of a stalagmite and stalactite almost touching each other (à la extended fingers) functions as a symbolic vision of Herzog’s own attempt to stretch out across millennia. The director’s 3D ably reflects his desire to enter into his chosen (physical and historical) spaces, but otherwise it’s a technical disappointment, proving superfluous during interviews with scientists and scholars, and generally resulting in visuals that are overly dark and pop-up-book unnatural. Nonetheless, these effects rarely interfere with the film’s inquiry into artistic representation, the fleeting nature of existence, and—as seen in the art’s anthropomorphic figures, as well as a German “experimental archaeologist” dressed in reindeer-skin Inuit garb—man’s rapport with Earth’s animals. Scored with a mesmerizing mélange of strings, chanting, and otherworldly noises, Cave of Forgotten Dreams expresses a spiritual awe that’s in tune with the cave painters’ own primitive faith, and in doing so further enriches its awesome admiration for a past, and for ecstatic truths, that can be glimpsed but remain, ultimately, just out of reach.